I strongly believe all children deserve a loving and nurturing environment, one in which they are treated with respect, love and protection. Adults, modeling effective coping, communication, relational, and educational skills, are the key players in establishing these environments. Sometimes, due to the many conflicting messages society sends, children do not understand what behavior and choices are healthy. I have focused much of my professional and personal life on helping parents and children understand what role each plays in this complex and intriguing process. 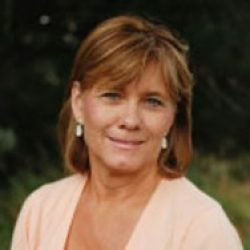 As a Program Director at the Kathleen Painter Littler Center — a residential and day treatment program serving children ages 5-14 with mental-health and behavioral issues — I developed and taught a team of professionals to implement a program to work with high-needs children and their families. My firm and unwavering philosophy is children and families, with the proper guidance and assistance, can succeed regardless of their circumstance. It is our responsibility as the adults society entrusted with their care to help by loving, nurturing and teaching both the child and the important adults in their life new skills. One of my greatest joys is teaching. I utilize my enthusiasm, creativity and ability to form relationships to make a positive impact on individuals and families. My varied professional experience includes roles as a Child Birth, Parenting, and Family Life educator and serving as an RN in various settings including the public school system, public health, occupational health and inpatient psychiatric treatment. As an administrator I have served as the director of inpatient and outpatient psychiatric programs for both children and adults. I am also certified to assess homes for the potential placement of foster and adopted children and have provided direct clinical services with children and adolescents at risk for suicide. I have worked diligently to develop the personal skills and professional expertise to assist those in need. My calm, nurturing demeanor, accompanied by my wealth of experience, allows me to connect with people. I am highly skilled at facilitating effective, interactive and fun educational, problem-solving, and skill building groups.